Not whining. Just wondering aloud. There is a difference, lol. Rank 10 match. I usually do well and am an effective member of the team. Been having some luck in my Z52. 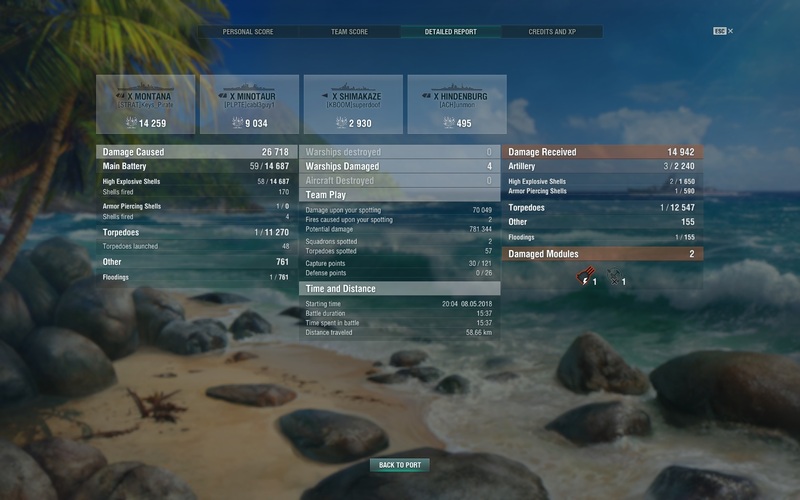 50-60k damage, capping when it's not suicidal, shooting reds when it's safe denying areas with torps and chasing down gearings and shimas. The match I just came out of I attached myself to a hindi and a montana. We pushed out of one cap and made our way north. Had to go around an island. There was a gearing, a shima, a mino and a des moines. 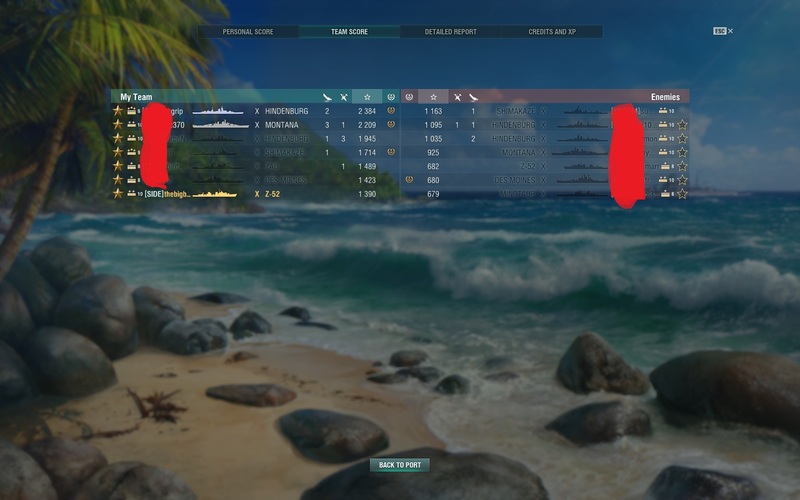 They were spamming torps and HE at the montana. He stuck with us and just kept hammering back. 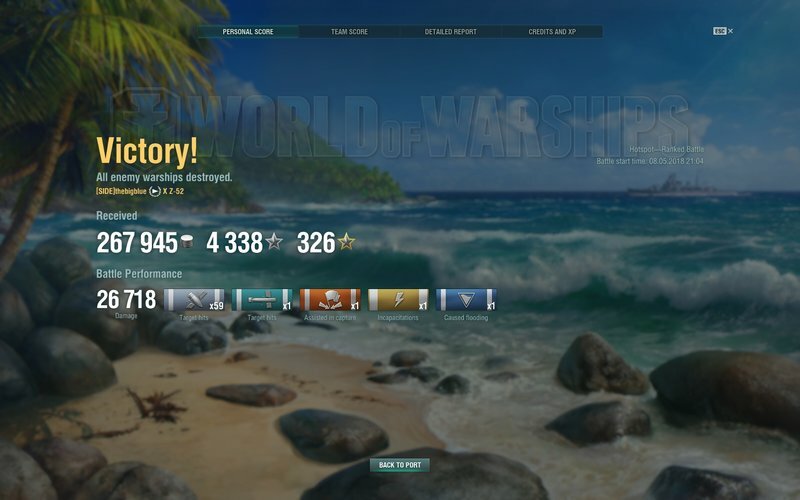 Really good BB driver who could manage consumables and was able to work with a cruiser and a dd. I'm on the inside line. I'm running hydro with the extended time super-container perk. I SPOTTED 57 FREAKING TORPEDOS from all directions. I communicated when hydro was on to my little war party and we moved accordingly. Not to take too much credit, lol, but I kept these guys alive for about 8 minutes. I was also able to get a little damage in with guns and torps but had to be very careful breaking concealment with the radar and the mino all 10-12 km away. So here is the rub. I stayed alive, I kept others alive, I did some (not a lot) damage and I helped with cap 2 caps. Why did I finish last on my team? I could have been a lot more selfish, after all, it was a certain defeat until the very end. I prob could have hunted down and sank a boat or done more damage but i doubt that would have won the match. There were soooo many torps getting spammed at us.... We didn't pull off the win until the last 2 mins working together the way we did. I think damage is important but there is no doubt in my mind that the way XP is calculated totally screws over good teamsmanship.